My brother and I have a term we call “Frank Mir face.” The expression we are referring to has been frequently displayed throughout the Las Vegas native’s UFC career, which is now in its thirteenth year. Eyebrows pointed skyward almost in surprise above a content, half smile—it’s got a smug, self-satisfied vibe to it. It’s a derogatory term in many ways, but it was never a slight on Mir himself. 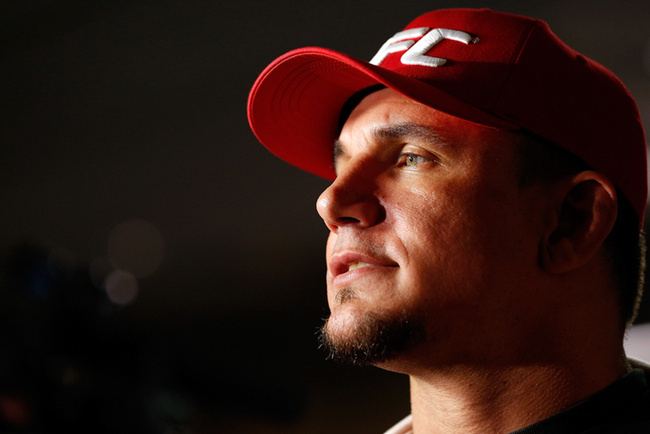 For us, people who were guilty of having a "Frank Mir face" would usually have no right to be feeling good about themselves and as we all know, the career of the former UFC heavyweight king has given him every excuse to champion a proud demeanor. 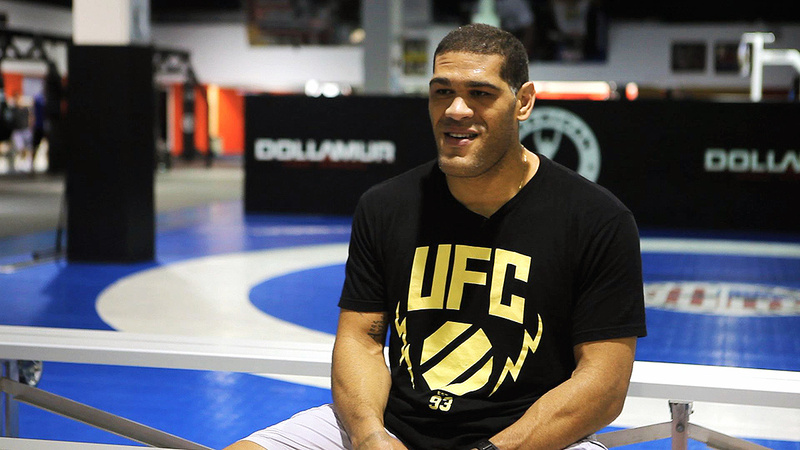 His recovery from a 2004 motorcycle accident that saw him eventually come back to claim the interim heavyweight title in 2010, the kneebar victory over the heavily hyped Brock Lesner in the WWE star’s promotional debut in 2008, breaking Tim Sylvia’s arm in four places to claim his first UFC strap in 2004, his similar treatment of Brazilian jiu jitsu legend Minotauro Nogueira who left their December 2011 meeting with a fracture of his own and to top it all off, he knocked out K-1 legend Mirko Cro-Cop. For years he was presented as one of the promotion’s big players. A perpetual title contender for what feels like forever, and with his Las Vegas address, Mir would be seen at shows a lot and that served as a valuable tool for keeping the American relevant for fans. He was highly visible and the MMA faithful never seemed to begrudge his name when it came up in the heavyweight title conversation. Despite his stand-out résumé of former glories, Mir now finds himself on hostile terrain. Having dropped four back to back bouts against Junior Dos Santos, Daniel Cormier, Josh Barnett and Alistair Overeem—a who’s who of talent from UFC’s heavier divisions—another loss to Antonio ‘Bigfoot’ Silva could be fatal. The thoughts of a UFC without the ever-present Mir are quite unsettling. Whether you like him or not, he has always fought the best of what’s on offer in the division with the only memorable complaint coming from him was when he was first matched with Daniel Cormier to top the bill of a Strikeforce card after the ZUFFA takeover. UFC 184 will not be the first time Mir has entered into a contest with similar ‘loser leaves town’ consequences attached to it. In his last test in February against Overeem it was perceived that failing to claim victory would result in the loser’s marching orders. Overeem’s hand was raised after a subdued 15 minutes, but still Mir remained on the books. Silva isn’t exactly on good terms either. His failure to bank a win since his against the odds knockout of Overeem in 2013 definitely has him on thin ice. Cain Velasquez dealt with him in one round in their rematch and despite being 50 per cent responsible for the greatest heavyweight bout of all time with Mark Hunt, his performance has been somewhat blemished by his failed drug test in the wake of that performance. Since then “Bigfoot” has been rendered unconscious by the resurgent Andrei Arlovski and now finds himself grappling with his relevance in the lead up to UFC 184. While the Brazilian can rely on the spectacular with his Hunt and Overeem showcases, Mir’s last outing was anything but dramatic as he Dutchman attempted to display his staying power over three rounds. Interestingly, Mir has commented on his break from the sport that will have put him on the side line for a year by the time he meets the Brazilian on February 28 at the Staples Center. Due to his 12 month absence Mir is confident that he will be going into the contest injury-free for the first time in many years and therefore be able to perform a lot better. The bout should be an exciting one given the repercussions of a loss for both men, but with Mir’s last outing with Overeem coming up short for the spectators despite carrying a similar threat, nothing is guaranteed. Mir’s slick submissions, his willingness to fight anyone, his evident evolution and his seemingly smug disposition —indeed, “Frank Mir face”—will certainly be hard to replace if a loss strikes him off the UFC roster in February. Mir appears to be simply too much of a company man to go anywhere else. Having treated MMA fans too some of the most memorable nights in UFC history, what would he really have left to prove outside of the world’s biggest MMA promotion? But let’s not write him off just yet because as we all know, Mir’s got a patent for shining when the odds are stacked against him.